The Norfolk Cruise Terminal was voted Best in Passenger Service in the United States in 2009. In fact, in recent ranking, the terminal received the highest passenger approval rating in the country. The Norfolk Terminal is named the Half Moone Cruise and Celebration Center and was built with the hope of bringing in streams of cruise passengers to Virginia. The Norfolk Terminal is more than just a place to welcome cruise passenger. It is also a museum which houses Nauticus, a national maritime museum, and the Battleship Wisconsin. Cruise passengers may elect to enjoy these appealing offerings before or after their cruise. Norfolk's cruise port is ideally located on the East Coast and is a short drive for cruise passengers coming from nearby cities in Virginia and Maryland, as well as from Washington, D.C. Residents of neighboring cities or states, as well as those from anywhere inside or outside the United States will find a limited number of Bahamas and Caribbean cruises sailing from Norfolk. Currently, Carnival Cruise Line is the major cruise company with sailings scheduled from Norfolk. 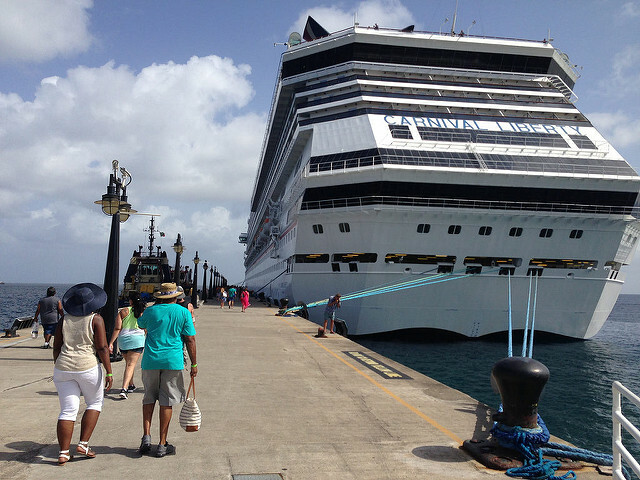 The cruise itineraries from Norfolk Cruise Terminal include trips to the Bahamas and the Eastern Caribbean. 7-day cruise to the Eastern Caribbean. You may get to the cruise terminal by air. Luckily for flying cruise passengers, Half Moone Cruise is located in close proximity to a major airport. The Norfolk International Airport is just about 20 minutes from the cruise terminal and is served by several major airlines. (If you are flying to the Norfolk Cruise Terminal, consider getting there overnight to ensure that you do not miss your ship the next day. 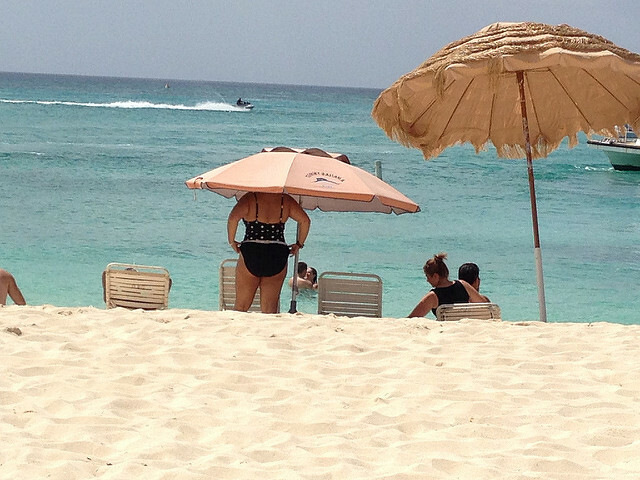 The most economical way for your family to get from the airport to the cruise port is by taxi. At the time of writing this page (2011), taxi fares were costing about $18 - $25. For additional information on ground transportation from the Norfolk International Airport, visit their website. Click here for driving directions, or follow the directions below. From Interstate 64, take exit 284 onto Interstate 264. Take the Waterside Drive exit (exit 9) from I-264. Drive past the Waterside Festival Marketplace and Nauticus will be on your left. The Cedar Grove Parking provides parking spaces for cruise passengers sailing with Carnival. The lot is less than one mile from I-264 and is conveniently located on Monticello Avenue between Virginia Beach Boulevard and Princess Anne Road in Downtown Norfolk. From Interstate-264, take the City Hall Exit (Exit #10). At the light, turn right onto St. Paul's Boulevard and follow our "Cruise Parking" signs. Complimentary shuttle buses are provided to take you from the Cedar Grove Parking to the Norfolk cruise terminal. 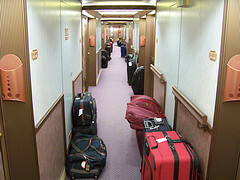 Expect to pay about $15 per night for all cruises, and you may use a credit card - American Express, MasterCard, or Visa. In the event that you are wondering - you may drop off your bags at the Norfolk cruise port before parking. Also, if someone is dropping you off, there is no place for them to wait. They must drop you off and leave shortly thereafter. If you have additional parking questions, please call Norfolk's Division of Parking at 1-757-664-6222. When you drop off your bags before or after parking, porters are available to assist you. They will take your bags and have them checked. Remember to tag them before you arrive at the terminal or upon getting there. If you did not print your tags, check with a cruise staff immediately upon arriving at the terminal. They will give you color-coded tags. Ready To Cruise From Norfolk? Residents of Norfolk, Baltimore, Washington, D.C. and other cities - even outside the United States - Norfolk's recently upgraded cruise terminal is ready to welcome you. 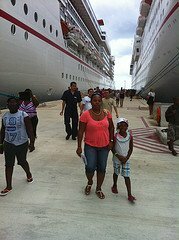 Like so many others, your family will be impressed with travel through the cruise terminal and will add to all the compliments that the port receives. Wait no longer. Book your cruise from the Norfolk Cruise Terminal today.